After years of denial, I finally jumped on the kale bandwagon yesterday and bought a bunch. 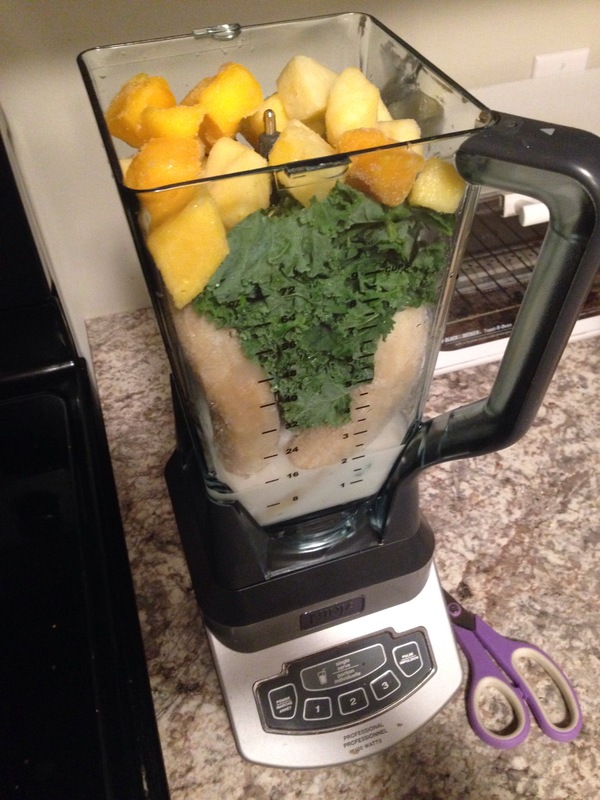 Encouraged by a link shared by a friend, I decided to try my hand at pre-making green smoothies for the week. Blend for a short eternity, even with a high-powered sucker like my Ninja, then pour into jars and freeze. Stay tuned for tomorrow’s verdict! 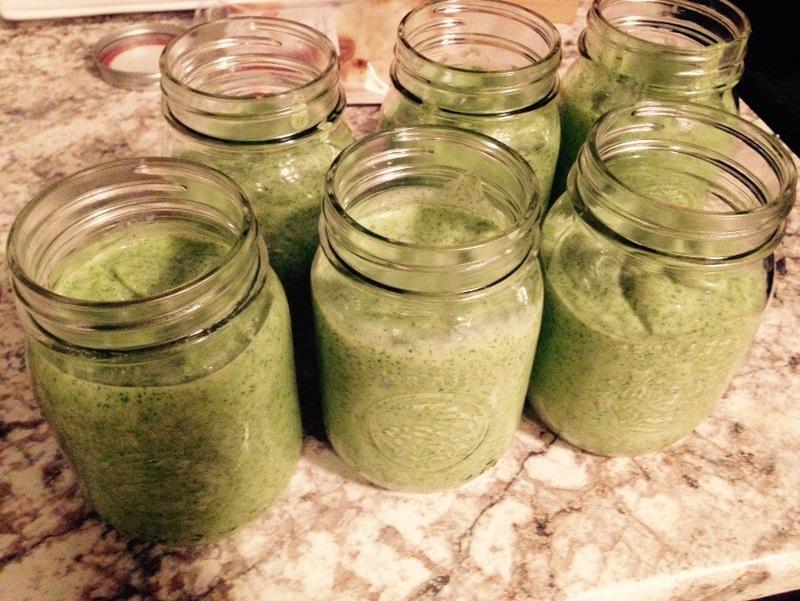 This entry was posted in breakfast, recipe and tagged food, greens, just feel better. Bookmark the permalink.